Celebrate Easter Sunday at Lexington Square Café! Join us for Easter Sunday at Lexington Square Café and enjoy a delicious selection of Easter Specials from 10:30am - 7:00pm. Reservations are filling up quickly, so make yours TODAY! Join us for Hudson Valley Restaurant Week beginning Monday, March 11th through Sunday, March 24th and enjoy a special three-course, price-fix menu for Lunch ($22.95) & Dinner ($32.95). Check out our #HVRW menus below and make your reservations today! Celebrate Valentine’s Day at Lexington Square Café! Celebrate Valentine’s Day at Lexington Square Café! We’ll be featuring some amazing specials for the special day. Check out our Valentine’s Day Specials below and make your reservations today! Vote for Lexington Square Café for Best of Westchester 2019! Round 1 of voting for the 2019 Best of Westchester list is now open! Please take a second to cast your vote for LEX in as many categories as you see fit! Thank you in advance for your continued support as we look to take the crown for the second year in a row! Planning a Holiday Party? Host it at Lexington Square Café! Planning a holiday party? Host it at Lexington Square Café! Perfect for a large group or an intimate gathering, we'll work with you every step of the way to ensure your event is a complete success! Get in touch today! Join us for Hudson Valley Restaurant Week and enjoy a special three course, price-fix menu for Lunch ($22.95) & Dinner ($32.95). Make your reservations today! Lexington Square Café is a 2018 Best of Westchester Winner! We are pleased to announce that LEX has been voted "Restaurant Not to Miss Dessert" by Westchester Magazine on this year's Best of Westchester List! Thank you to everyone who voted for continued support and of course, our amazing pastry chef A.J. Dominique Baptiste! Time to celebrate! Join Us for Father's Day at LEX! Celebrate Father's Day at Lexington Square Café! Check out our Father's Day Specials below and make your reservations TODAY! Celebrate Mother's Day at Lexington Square Café! Join us for Mother's Day at Lexington Square Café and enjoy a special menu for Brunch (10:30a-2:30p) and Dinner (serving til 8pm)! Check out the link below to learn more and make your reservations today! Celebrate Easter Sunday at Lexington Square Café and enjoy some delicious Easter Specials from 11am-8pm. Join us for Hudson Valley Restaurant Week and enjoy a special 3-course, price-fix menu for Lunch ($22.95) and Dinner ($32.95)! Celebrate Valentine's Day at Lexington Square Café! Celebrate Valentine's Day at Lexington Square Café! We've got some great specials planned for the special night that we are sure you will enjoy. Make your reservations today! Vote for Lexington Square Café for the Best of Westchester 2018 List! Vote for LEX for this year's Best of Westchester List! This round of voting is write-in only, so feel free to include us in as many categories as you'd like! Voting ends January 24th at 5pm! Thank you so much for your continued support! Host Your Holiday Party at Lexington Square Café! Planning a holiday party? Host it at Lexington Square Café!! Whether it's for a large group or an intimate gathering, our party planners will work closely with you from planning through execution to ensure your event is a COMPLETE SUCCESS!! It's that time of the year again! 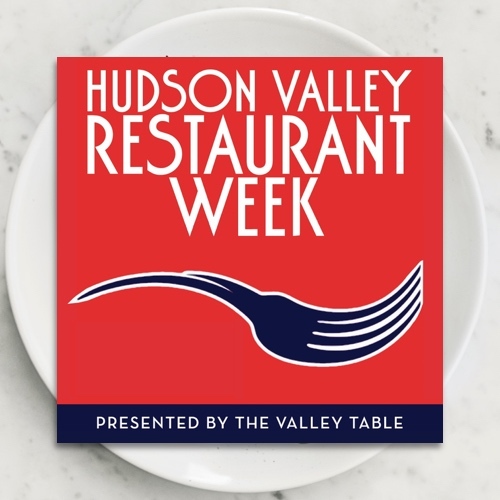 Join us October 30th - November 12th for Hudson Valley Restaurant Week and enjoy a special three-course, price-fix menu for Lunch ($22.95) & Dinner ($32.95)! Thinking about hosting a party at LEX? Just want to check out the space? Now, you can explore our restaurant and walk through our different party rooms right from the comfort of your own home! Check it out and let us know what you think! Our Summer BBQ Thursdays ARE BACK!! We're excited to announce the return of Summer BBQ Thursdays at LEX!! Join us EVERY THURSDAY for new and delicious BBQ specials each week! Be sure to arrive early to take advantage of our Happy Hour specials from 5-6pm as well! We look forward to seeing you! Click to View This Week's Thursday BBQ Specials! Join us at Lexington Square Café for Mother's Day! We'll be featuring a special Mother's Day menu available from 10am-8pm. Join Us at Lex for Easter Sunday! Join us at LEX for Easter Sunday! We'll have some delicious Easter Sunday Specials in addition to our regular menu from 11a-7pm! Mark your calendars! Hudson Valley Restaurant Week is right around the corner! Join us March 6th-19th and enjoy a special #HVRW price-fix menu for Lunch ($22.95) and Dinner ($32.95). Join us at Lex for Valentine's Day! We'll be featuring some amazing specials we're sure you will enjoy! Reservations are filling up fast so make your reservations today! Vote for Lexington Sq. Café for this year's Best of Westchester List! Vote for Lexington Square Café to be included in this year's 'Best of Westchester' list!! Voting ends tomorrow (Wednesday, 1/25/17) at 5pm!! Planning a Holiday Party? Host it at Lex! The holidays are right around the corner and Lexington Square Café is the perfect venue to host any size party or event. Whether it's for a large group or an intimate gathering, we offer a variety of party package to accommodate your style, as well as your budget needs. Join Us for Hudson Valley Restaurant Week November 1st-13th! Join us November 1st-13th for Hudson Valley Restaurant Week! We'll be featuring special #HVRW menus for Lunch and Dinner priced at $20.95 and $29.95 respectively. Introducing "Happy Hour Done Right" at Lex! Introducing our brand new "Happy Hour Done Right" here at Lexington Square Café. From 5pm-6pm daily, enjoy 50% off all Draft Beer, Wines by the Glass and Cocktails in addition to some great new snack specials as well. See you soon! Each Thursday til the end of summer, we'll be firing up the BBQ and featuring some delicious BBQ specials in addition to our regular menu! Our first one will be THIS THURSDAY, June 23rd and it promises to be a great time. Join us for Mother's Day at Lexington Square Café! We'll be offering an exclusive Mother's Day menu for the special day! Valentine's Day is right around the corner. Join us for a romantic dinner with your significant other and enjoy our special Valentine's Day Menu in addition to our regular menu! 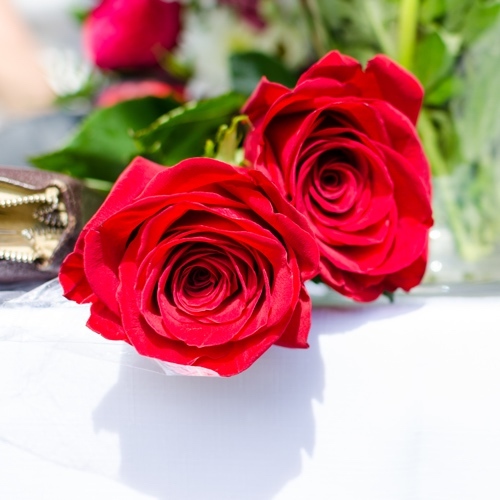 Click to View Our Valentine's Day Menu! The Holiday Season is right around the corner and Lexington Square Café is the perfect venue to host any size party or event!! From haute French to artisan pizza to a chic Livanos Family New American, Northern Westchester has a restaurant to satisfy even the pickiest of gourmands. Lexington Square Café voted Best Brunch around Mount Kisco, Chappaqua according to Yelp Reviewers.